3Dice online casino is an online casino that you may never had heard of. Online since 2006, 3Dice is unique — no other online casino runs on their proprietary software platform. It’s main differentiator is a community chat feature that you can participate in (if you’d like), and there is a chat moderator (or CM) who occasionally gives out a couple bucks in free ships to those in the chat room. At 3Dice online casino, you’ll find typical table games like roulette, blackjack, and craps. 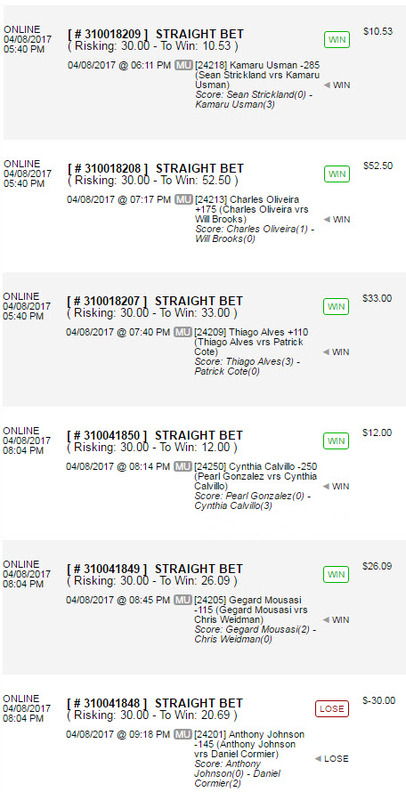 You’ll also find various video pokers, including the rarely found Tens or Better with a generous 99.13% payback. 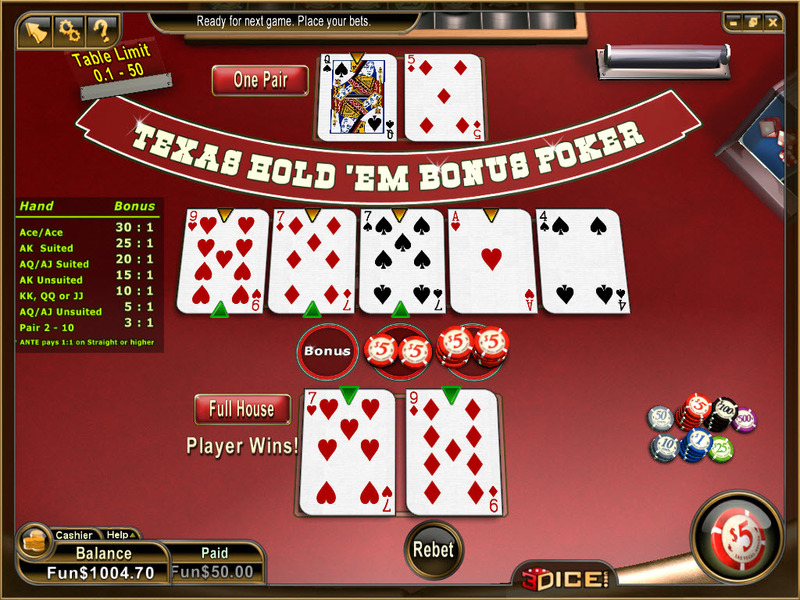 They also spread table poker games, including the hard-to-find Texas Hold’Em Bonus Poker. 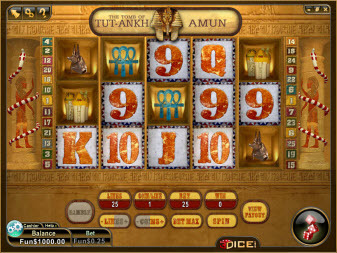 The slots at 3Dice include 25+ video slots, multiplayer slots, and classic slots. One of my favorites is the Egyptian-themed Tutankhamon. 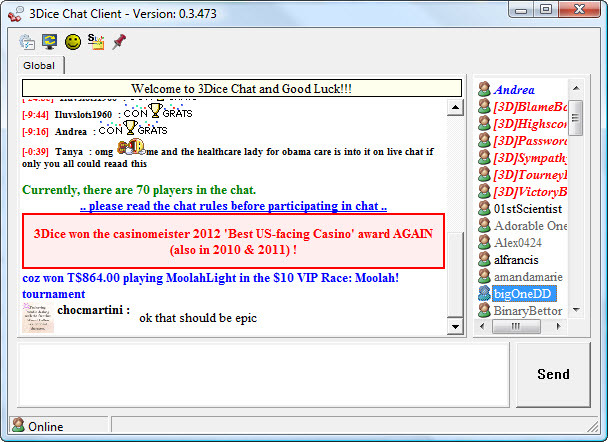 All players are welcome at 3Dice, and you can even sign up and play for free using just your email address. Should you decide to make a deposit, they offer a 110% bonus on your initial deposit of between $10 and $90, plus 250% in comp points, plus an entry into their $250 new depositors slots tournament. If you head over there, let me know how you like 3Dice.